What is the meaning of the novel Bulgakov's "Master and Margarita"
How did the phrase "manuscripts do not burn"
What is the book "the Master and Margarita"
As Bulgakov wrote the novel "the Master and Margarita"
Advice 1: What is the meaning of the novel Bulgakov's "Master and Margarita"
The novel of M. Bulgakov "Master and Margarita" - a unique book: in it everyone discovers their own meaning. This piece truly endless for all sorts of subtexts, analogies, and allegories. However, the author called his novel is "Master and Margarita", although these characters appear only in the second part of the book. What secret meaning have invested Bulgakov in this extraordinary novel, which left behind many questions and was dismantled for quotes? 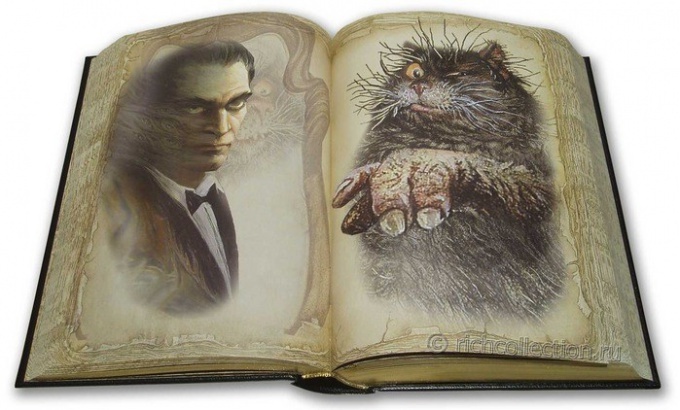 On the novel "the Master and Margarita" Bulgakov worked for about 12 years so not had its final edit. This novel was a real revelation of the writer Bulgakov himself said it was his basic message to humanity, a Testament to posterity. This novel, written many books. Among researchers creative heritage of Bulgakov is believed that this work is a kind of political treatise. In Woland they saw Stalin and his retinue were identified with the political figures of the time. However, to consider the novel "Master and Margarita" only from this point of view and see them as just political satire would be wrong. Some literary critics believe that the main meaning of this mystical work is the eternal struggle between good and evil. According to Bulgakov, it turns out that good and evil on Earth must always be in equilibrium. Yeshua and Woland represent these two spiritual start. One of the key phrases of the novel were the words of Woland, he said, turning to Levi Matthew, "would you be so kind as to think over the question: what would your good be doing if there were no evil, and how the earth would look like if she disappeared the shadows?" In the novel the evil in the person of Woland, ceases humane and fair. Good and evil are intertwined and are in close interaction, especially in human souls. Voland punished the people of evil for evil for the sake of justice. No wonder some critics drew the analogy of Bulgakov's novel and the story of Faust, though in "the Master and Margarita" the situation is presented upside down. Faust sold his soul to the devil and betrayed the love of Marguerite for the sake thirst for knowledge, and in the novel Bulgakov Margarita makes a deal with the devil for the love of the Master. Residents of Bulgakov's Moscow are brought before the reader a collection of puppets, tormented by passions. Crucial stage in Vaudeville, where Woland sits in front of an audience and begins to talk about the fact that people don't change for centuries. In the background of this faceless mass only the Master and Margarita is deeply aware of how the world works and who rules it. The image of the Master is a collective and autobiographical. The reader does not know his real name. In the face of the master supports any artist, and the man who has his own vision of the world. Margarita is the image of the ideal woman who is able to love to the end, despite the difficulties and obstacles. They are ideal collective images of dedicated men and faithful to their woman's feelings. Thus, the meaning of this immortal novel can be divided into three layers. Over all is the confrontation between Woland and Yeshua along with his disciples and retinue are continuous the fight for immortality of the human soul, playing with destinies of people. Below are people like the Master and Margarita, joined later on by a disciple of a Master Professor of ponyri. These people are spiritually more Mature, and realizing that life is much more complicated than seems at first glance. And finally, at the bottom are the ordinary people of Bulgakov's Moscow. They do not have the will and seek only to material values. The novel Bulgakov's "Master and Margarita" is a constant warning against inattention to themselves, from blind adherence to routine things, at the expense of awareness of self. 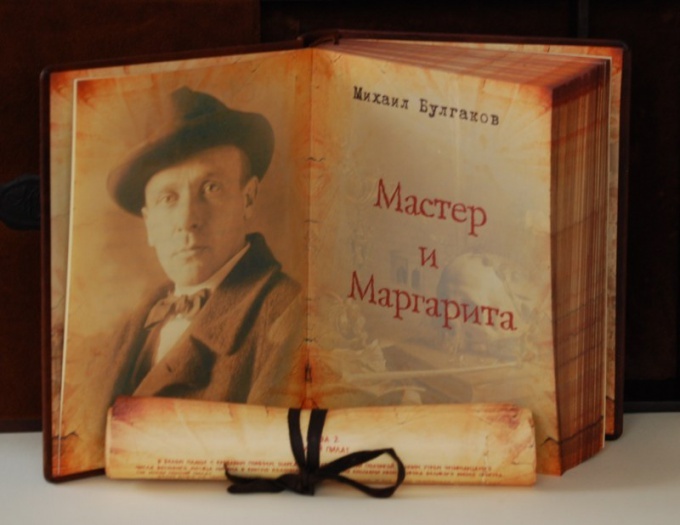 Advice 2 : What is the book "the Master and Margarita"
The novel of Mikhail Bulgakov "Master and Margarita" is one of the best books written in the twentieth century in the Russian language. Unfortunately, the novel was published many years after his death, and many riddles, encrypted by the author in the book, has remained unsolved. Work on the novel, dedicated to the appearance of the Devil in Moscow 1930-ies, Bulgakov began in 1929 and continued until his death in 1940, never finished editing the copyright. The book also appeared in print only in 1966, thanks to the fact that the widow of Bulgakov Elena Sergeevna Bulgakov retained the manuscript. The plot of the novel, or rather, all of its hidden meanings are still the subject of research and debate of literary critics. "The master and Margarita" is on the list of the hundred best books of the twentieth century by the French periodical Le Monde. The text begins with two Soviet writers, talking at Patriarch's ponds, a foreigner, who turns out to be Satan. It turns out that the Devil (in the novel it is represented by the name Woland) travels around the world, occasionally stopping in different cities along with his entourage. Once in Moscow, Woland and his henchmen punish people for their petty sins and passions. Images of the bribe-takers and thieves written by Bulgakov masterfully, and sympathy for the victims of Satan did not cause. For example, the fate of the two first interlocutors Voland folds extremely unpleasant: one of them is killed under a tram, and the second falls into a madhouse, where he meets a man calling himself the Master. The master tells Woland sacrifice of its history, in particular, indicating that at the time he wrote a novel about Pontius Pilate, because of which ended up in a psychiatric hospital. In addition, it recalls the romantic story of his love for the woman named Margaret. At the same time one of the members of the retinue of Woland addresses Margarita with a request to become Queen of the ball of Satan, which is held annually Woland in the various capitals. Margarita agrees, in exchange for her return of the Master. The novel ends with a scene of departure of all the main actors from Moscow, and the Master and Margarita peace, which he dreamed. Along with "Moscow" plot developing "arshalinsky", that is, in fact, a novel about Pontius Pilate. From Moscow 30-ies of the reader is transferred to Jerusalem, since the beginning of BC, where there are tragic events described in the New Testament and re-interpreted by Bulgakov. The author tries to understand the motives of the Procurator of Judea, Pontius Pilate, sent to the execution of the philosopher Yeshua Ha-Notsri, the prototype of which is Jesus Christ. In the final part of the book story lines intersect, and each character gets what they deserve. There are many adaptations of Bulgakov's novel, both in Russia and abroad. In addition, the text has inspired many musicians, artists and playwrights. "The master and Margarita" is a novel at the crossroads of genres. Of course, is satirizing the manners and way of life of the inhabitants of modern Bulgakov Moscow, but in addition the text contains a variety of mystical symbols, moral throwing, reveals the theme of retribution for sins and transgressions. Advice 3 : As Bulgakov wrote the novel "the Master and Margarita"
One of the properties of literature is the desire to synthesize all available at the moment of its achievements, to generalize, to codify. As an example, recall the "glass bead Game" by Hermann Hesse, "Doctor Faustus", Mann, "the Brothers Karamazov" by Dostoevsky. The history of the novel "the Master and Margarita is shrouded in mystery so far, however, as the novel never ceases to be the focus of mysteries for the reader. It is not known even when Bulgakov did the idea of writing the work, which is known now under the name "the Master and Margarita" (the name that appeared in the drafts of Bulgakov relatively shortly before the creation of the final version of the novel). The time it took Bulgakov from aging ideas to the final version of the novel amounted to in the end for about ten years, which suggests which care began Bulgakov in the novel and what appears to be, significance it possessed. Bulgakov seemed to anticipate everything in advance, because "the Master and Margarita" was the last written work. Bulgakov did not even have time to finish literary editing of the novel, she was staying somewhere in the region of the second part. Initially, the protagonist of his new novel Bulgakov identified the image of the devil (Woland future). The first few editions of the novel were created under the banner of this idea. 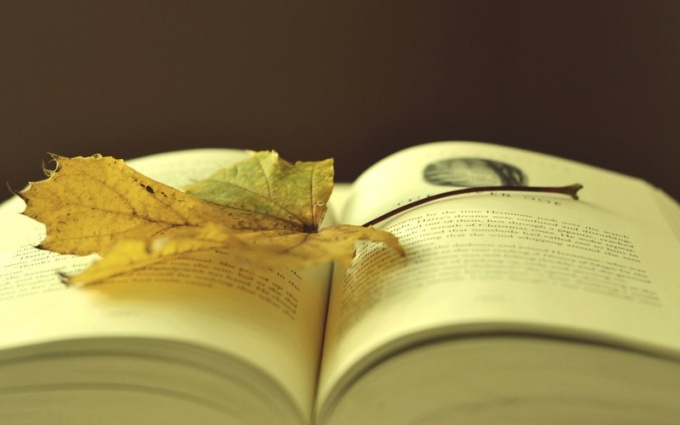 It should be noted that each of the four known editions can be considered as a standalone novel, because they contain many fundamental differences on both formal and semantic levels. The usual reader of the master image – the image of the Master was introduced in the novel Bulgakov's only in the fourth, finally edition, and is itself determined in the end, the basic concept of the novel, which originally contained a bias to a greater extent in the direction of satire, but the Wizard as the main character his "appearance" forced Bulgakov to review the prospects of the novel and the dominant place given to the topic of art, culture, places the artist in the modern world. The novel is stretched so probably not only because of the inconclusive forms of the concept, its changes, but also due to the fact that the novel was intended by Bulgakov as the product of a final, summarizing his entire career in the field of art, and in this regard, the novel has a rather complex structure, it is filled with a huge number of explicit and implicit cultural references, references for each and every level of poetics of the novel. Advice 4 : What is the meaning of the novel Bulgakov's "Master and Margarita"